Growth in the global smartphone market declined annually for the first time ever in 2018. This was primarily due to the lengthening replacement cycles in key geographies such as the US, China, and parts of Europe. At the same time, there is also a gradual shift among entry-level (sub-US$100) smartphone users towards mid-tier (US$100-US$250) and high-tier (US$250-US$400) smartphones in 2018. In fact, more than half of the total smartphones sold across the world in 2018 came from the mid-tier and the high-tier price bands. 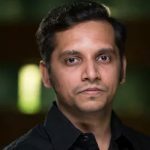 Artificial Intelligence – On-Device AI for advanced imaging, computing, AR translation, scene detection, low-light enhancements, portrait modes, and more. Imaging – Multiple and varied camera sensors from telephoto zoom to higher resolutions to ultra-wide support, hybrid auto-focus, and more. Gaming – Optimizations for stunning realistic graphics rendering, faster frame rates, and immersive audio support to enhance the gaming experience. Power – Advanced CPU optimization for efficient power consumption and better battery life, quick charging, and other such features. Connectivity – Advanced LTE (600Mbps+ throughputs), WiFi (802.11ac), Bluetooth connectivity with optimized RF performance for better signal performance. All these advanced features and technologies have trickled down to mid-to-high-tier segments because of chipset vendors like Qualcomm, Samsung, HiSilicon, and MediaTek. In this regard, Qualcomm has been ahead of the competition and has been swiftly able to democratize cutting edge features. It has helped upstart brands to compete with vertically integrated players such as Samsung and Huawei. 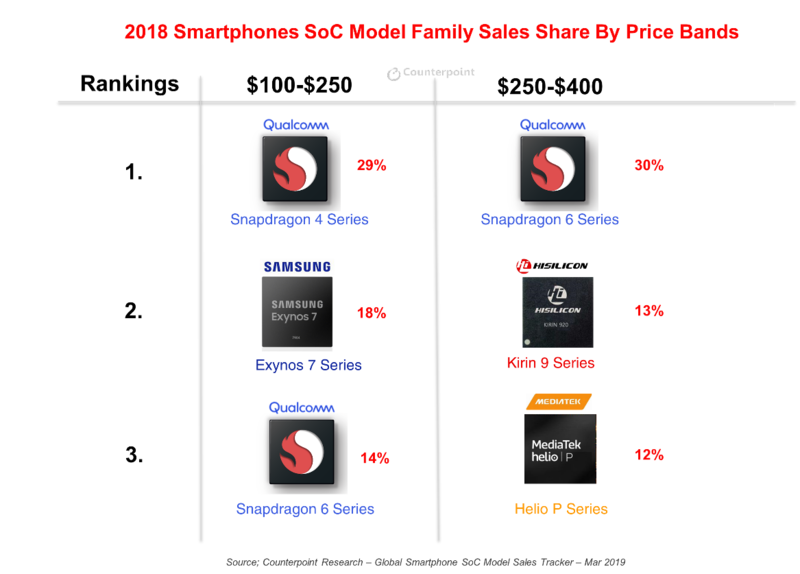 Qualcomm’s 4, 6 and 7 series platforms of System of Chipsets (SoCs) have driven this trend in these key price segments bringing innovations to masses. Together, these series powered more than 41% of smartphones in this segment (US$100-US$400) in 2018 according to our latest Global Soc Model Sales Tracker research. The Qualcomm Snapdragon 665 is the latest generation 6 series SoC platform. It builds upon the 14nm based Snapdragon 660, which was launched 23 months ago. However, the 665 is significantly better than the 660. The major upgrades are advanced AI, optimized gaming, and cutting-edge imaging capabilities. It brings in near-premium experiences for someone buying a first or second smartphone. For the first time, Qualcomm brings its third-generation AI engine (AIE) to the affordable 6 series platforms. The AIE also unlocks newer AI driven capabilities such as 3D Face Unlock, object detection, single camera portrait mode and relighting, scene recognition, augmented reality-based text translation, and more. The improved AI-powered Qualcomm Spectra 165 ISP also supports a triple camera configuration (telephoto, wide, and ultra-wide), 48 MP sensor, 4K video capture, Portrait Mode and HDR stills, Hybrid Autofocus, 5x Optical Zoom, Zero Shutter Lag, and a multitude of camera-centric features. Gaming has been a key use-case followed by camera and communication. The Snapdragon 665 offers an enhanced gaming performance and is the first 6 series SoC to support Vulkan 1.1 graphics driver for smooth and realistic graphics as well as faster frame rates, all powered by the Adreno 610 visual processing sub-system. However, the Snapdragon 665 continues to offer the same connectivity options in the form of LTE-Advanced (Cat 12 – 600Mbps 3x20MHz CA DL/ Cat 13 – 150 Mbps 2x20MHz CA) as the Snapdragon 660 targeting emerging markets. The Qualcomm Snapdragon 730 platform is the latest generation of the 7 series SoC platform and it builds upon the 10nm based Snapdragon 710 which was launched 11 months ago. Snapdragon 7 series is a new tier which is filling up a huge gap left between Snapdragon 6 and 8 series SoCs. The flagship 8 series-based devices will continue to be more expensive with the addition of technologies such as 5G and new form-factors such as the dual or foldable displays. Snapdragon 730 is a significant upgrade compared to Snapdragon 710 and cements its position nicely in the high-to-premium tier. 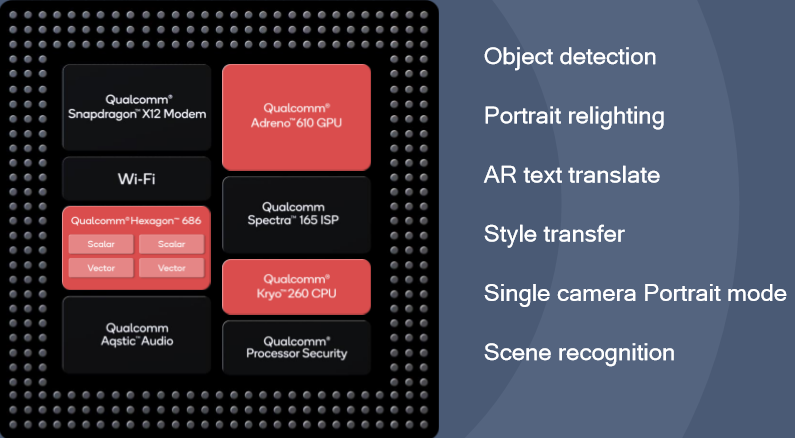 Qualcomm has integrated its fourth generation AI Engine (AIE) into the 730, in tow with the first ever Hexagon Tensor Accelerator (HTA) (INT16, INT8, Mixed) for 7 series. It also has more floating point ALUs as well as dot product instructions support. This provides powerful AI experiences for the camera, gaming, and performance. The AIE incorporates Qualcomm Hexagon 688 DSP, Adreno 618 GPU, and a highly efficient advanced 8nm based Kyro 470 CPU promising 2x faster AI processing than its predecessor. The Snapdragon 730 sports AI + voice engine to enhance voice recognition accuracy and pick up even voices from far or even in a noisy environment. It has the first Computer Vision based Image Signal Processor (CV-ISP) for 7 series. This was earlier featured in the 8 series platform. The Spectra 350 features the CV-ISP, which supports advanced imaging features such as 4K HDR video in Portrait Mode allowing depth sensing at 60fps, Object Segmentation, Cinemagraph video, HD slo-mo videos @ 960fps, and almost 4x power savings. The SoC also supports the new generation HEIF compression format which saves photo, video and CV data in almost half the size. Qualcomm also announced for the first time a 7 series chipset variant, called 730G, specially designed for OEMs looking to target advanced smartphone gamers. It allows for a more powerful but affordable gaming smartphone. The 8nm Kyro 470 drives extreme power efficiency by balancing workload across to performance and six efficiency cores for demanding gameplay, promising a 35% power saving compared to Snapdragon 710. The Adreno 618 GPU visual sub-system is powered with some of the “Elite Gaming” features trickling down from the Snapdragon 855 such as true HDR10 gaming, 25% faster graphics rendering, Wi-Fi latency manager, Jank reducer, anti-cheat extensions, and other gaming related optimizations. Qualcomm has some great 6 and 7 series announcements which should help it maintain a wider lead in the sizeable mid-to high-tier market. The 6 series portfolio now spans from a cheaper Snapdragon 625 to 665 and the 675 offering multiple options for different OEMs to design and differentiate. The 7 series currently contributes a smaller volume. But with Snapdragon 730/730G, we should see more design wins in the US$300-US$500 wholesale price segment phones. As the premium Android flagship market median has shifted beyond the US$600 wholesale price, the 7 series is a great solution for this year’s affordable premium Android smartphones. Qualcomm’s focus on three core use-cases imaging, gaming, and AI should pay off as a sizeable maturing smartphone user base looking to upgrade and enjoy these enhanced experiences.